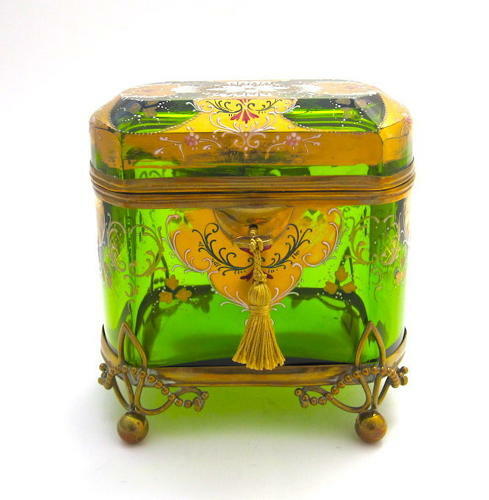 Stunning Large Antique MOSER Glass Casket with Typical Moser Hand Painted Design. This Casket is Three-Layered Cased Glass. Alternating Green and Gilded Panels are Decorated in Composite Gold and Enamelled White Flowers. Fine Dore Bronze Mounts Including Four Double Bow Feet and Heart Shaped Key.